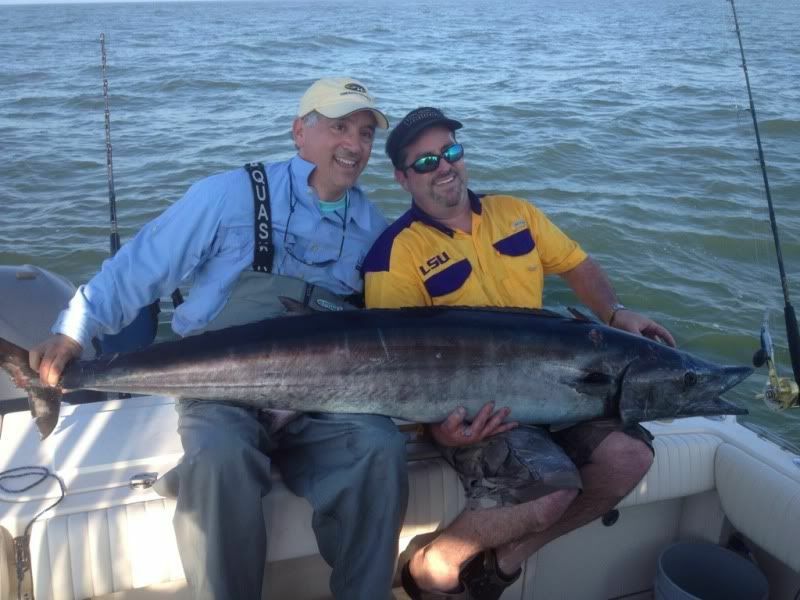 I fished a few days last week out of venice and had a pretty decent day every time I started off With a group our of new orleans and we headed south with some pretty weather. 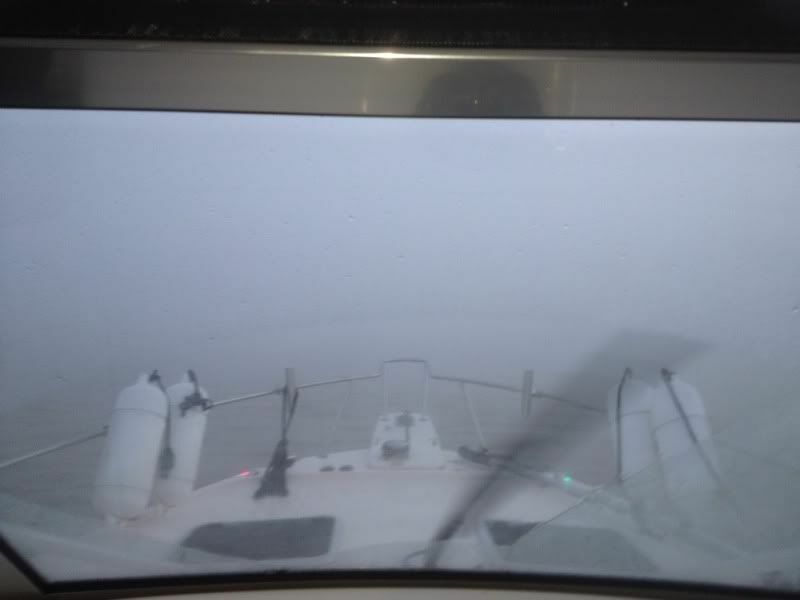 We trolled around for wahoo with no luck before we headed over to chunkland which is our winter theme park around here it seems like I end up there every day at some point.First drift netted us a small yf and two blackfin. 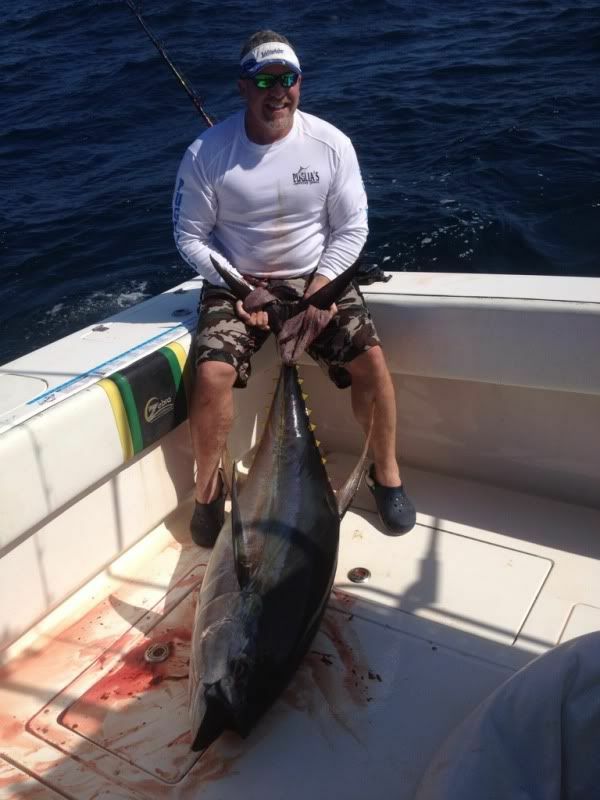 The bite was slow all day and around 1 pm we had 4 bf one yf and an amberjack in the boat when the big boy hit. 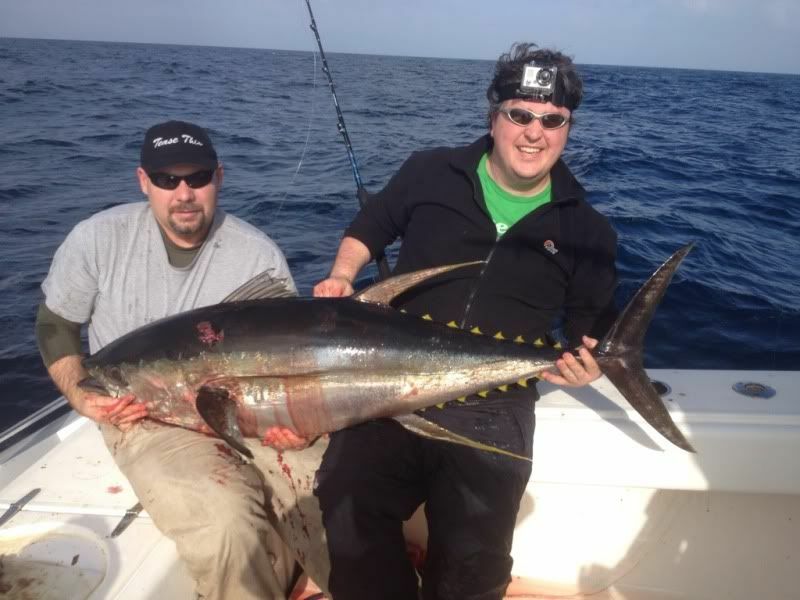 We hooked him on a torsa 40 with 60 pound frenzy flourocarbon. 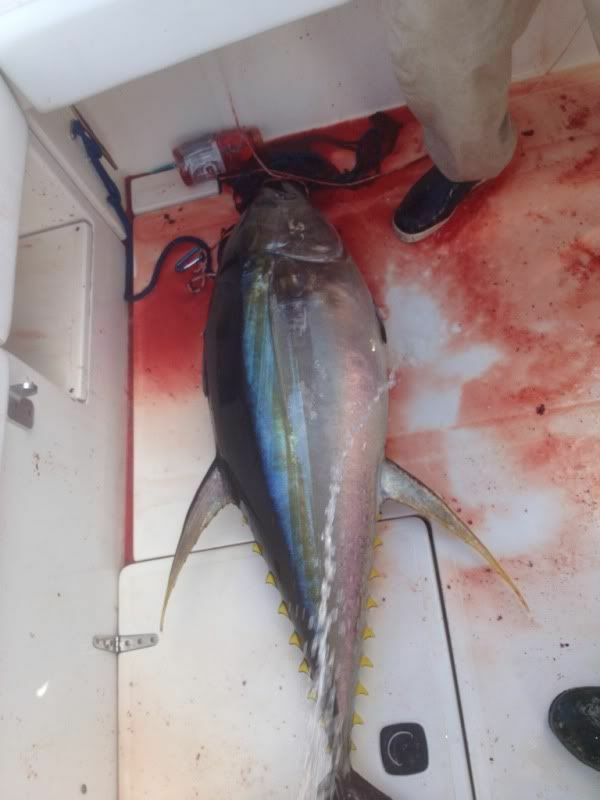 The guys had to pass the rod but we were able to keep the pressure on him the whole time and we put him in the boat in 45 minutes and he ended up weighing 128 pounds at the dock. After we put him in the boat the guys were done and we headed to the house.I fished a private boat the next two days. We got one good one early that was about 100 pounds. After that we didnt put any more fish in the boat there. 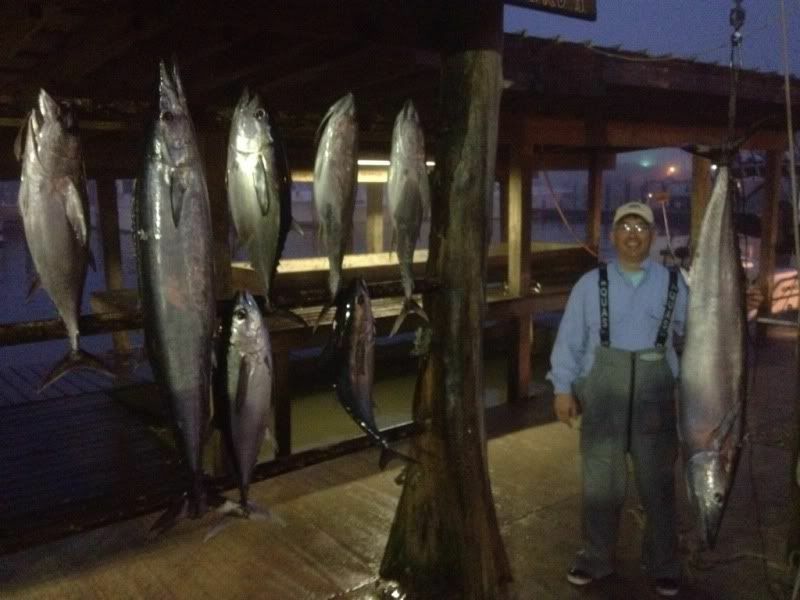 I headed south looking for some floater action and we found some but the guys couldnt connect very well and we went 2-7 on poppers with medium sized fish. On thur I headed east looking for some fishies. 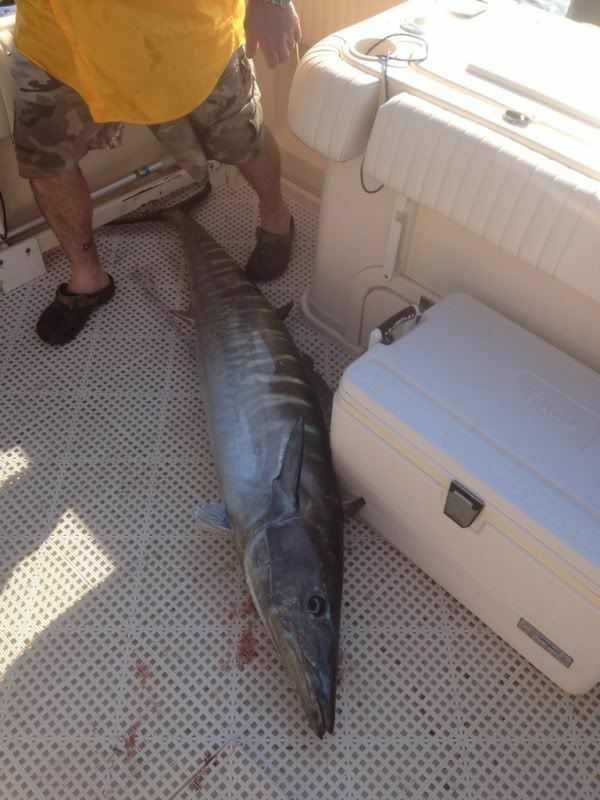 Got a nice wahoo early then not much on the troll was to be had. Started chunking and picked up a pair of yf and blackfin. The bite was not fast enough for me though and I headed back to trolling. Got a couple more bf to bite before we got the bite we had been looking for as the short bomber lit off like a bottle rocket and started screaming. 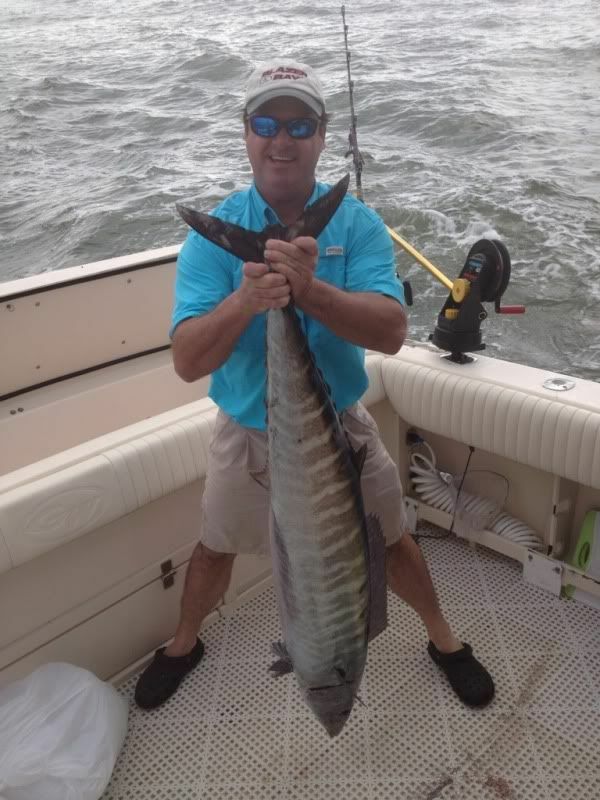 After a 30 minute battle I stuck the gaff in an 85 pound wahoo. I tried for another one but we didnt have any more bites so we headed to the house. The last day of my run was friday. 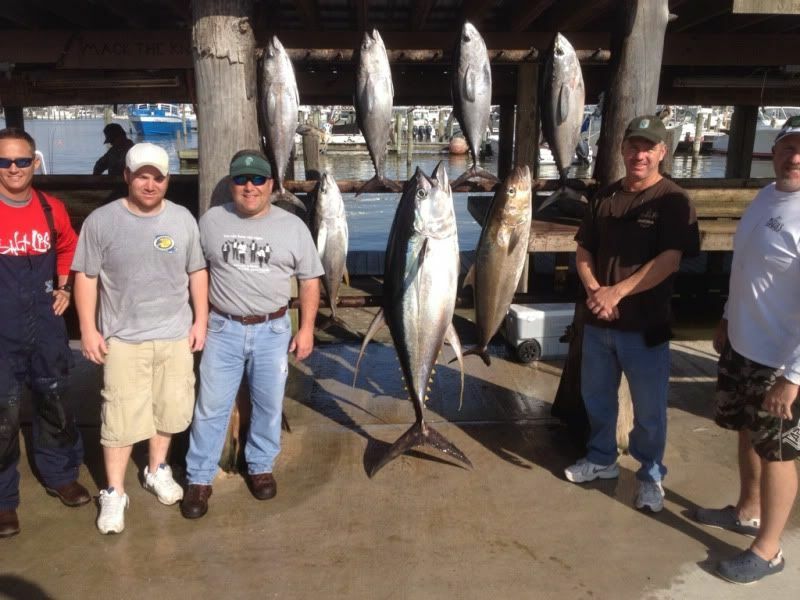 I went straight to chunking and got a small yf and two blackfin. We kept at it and kept at it with no luck whatsoever before we made a move to go for ajs. WE got one good aj on a jig and that was that. While we were jigging I had seen a couple blackfin jump by the rig so we tossed the lures out and immediately hooked a wahoo. We landed him and put the baits back out and doubled up on hooters. 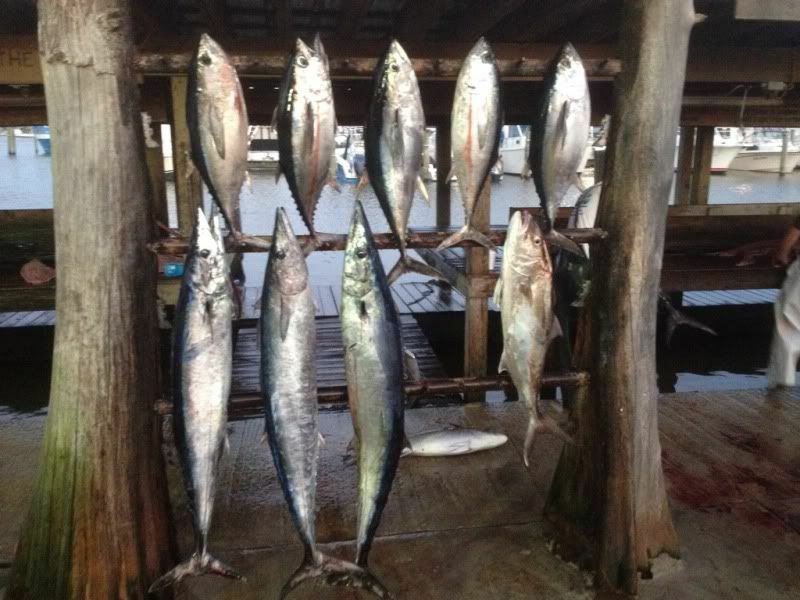 After we put them in the boat all we could manage were two more blackfin before the bite ended and we rolled on home.